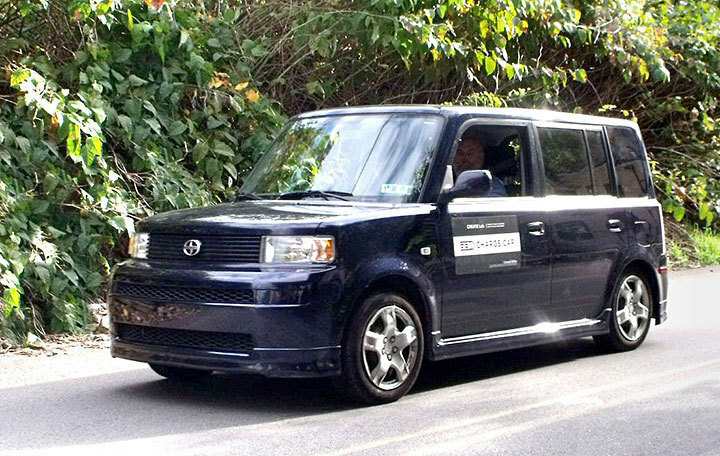 Researchers at Carnegie Mellon’s Robotics Institute have converted a 2001 Scion xB into an electric commuter vehicle that will serve as a test bed for a new community-based approach to electric vehicle design, conversion, and operations. The vehicle is part of a new research project, ChargeCar, headed by Illah Nourbakhsh, associate professor of robotics. The project is exploring how electric vehicles can be customized to cost-effectively meet an individual’s specific commuting needs. It was made possible when a philanthropic alumna, Donna Auguste (Ph.D ’83), provided a grant to the CREATE Lab headed by Nourbakhsh to study ways to achieve high efficiency in electric vehicle power systems by incorporating a supercapacitor. The ChargeCar team includes three students: senior computer science major Vibhav Sreekanti, senior information systems major Paul Dille, and SHS junior Matt Duescher. Also on the team are co-principal investigator Gregg Podnar, research engineer Josh Schapiro, senior research programmer Chris Bartley, project scientist Ben Brown, and Intel Labs Pittsburgh senior researcher Jason Campbell. “Most electric cars today are being designed with top-down engineering to match the performance of gas-powered cars,” Nourbakhsh said. “Our goal is to revolutionize urban commuting by taking a different approach — by first analyzing the needs, conditions, and habits of the daily commutes of actual people and then using this ‘commute ecology’ to develop electric vehicles suited to each unique commute.” The researchers calculate that a typical Pittsburgh commuter might save 80 percent of energy costs by switching from a gas car to an electric car. 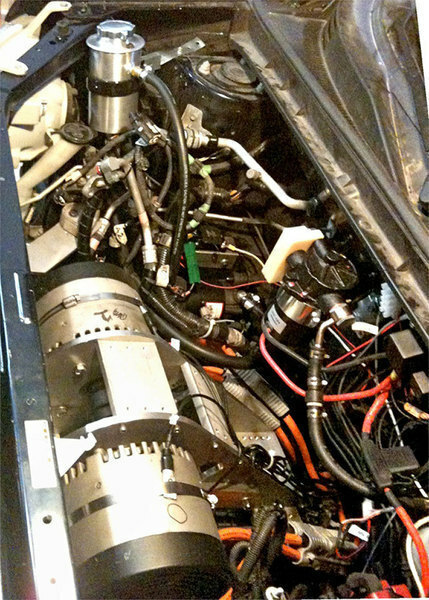 Podnar developed the high-level designs of the conversion of the Scion xB, selected the motors, controllers, and energy storage system, and designed the power control system. “The supercapacitor is efficient at supplying high currents on acceleration and accepting high currents when regeneratively braking. By off-loading the battery from these high currents, we get more of the stored energy from the battery, we recover more energy when regeneratively braking so we can use it for longer range, and the battery will last longer,” Podnar said. Researchers also developed predictive energy management. “By looking ahead we can predict the energy needs of the next segment of travel. If it is going to be downhill or approaching a stop sign, we want the supercapacitor to start fully discharged. 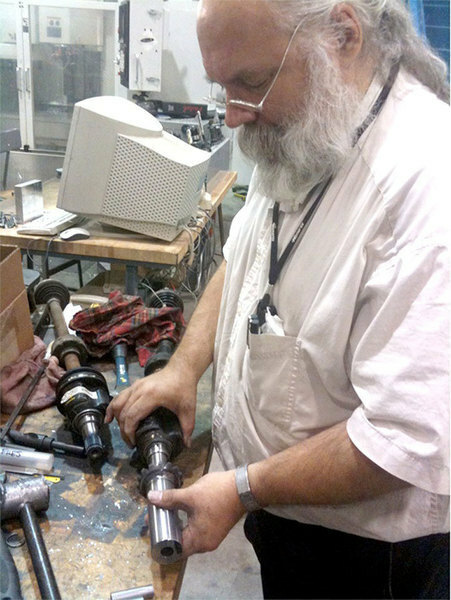 If we are about to climb a hill or accelerate from a stop, we will want the supercapacitor fully charged,” Podner said. 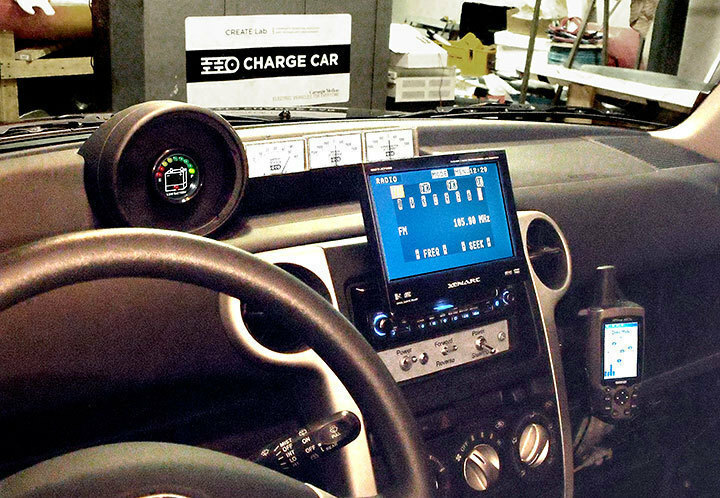 The converted Scion xB will be a testing ground for developing smart power-management techniques, measuring battery lifetimes, and refining conversion techniques. For more information, visit www.ri.cmu.edu/newsview.html?newsid=71&menu_id=238.